6/29/2011 - 15118 West Pauline Trail, Rathdrum, ID 83858. This was a house we were scoping out as a potential purchase. Nice place, but it looked like it would have way too much yard upkeep, and I believe it had an HOA. Besides, the neighbors were too close to do any shooting on the property. 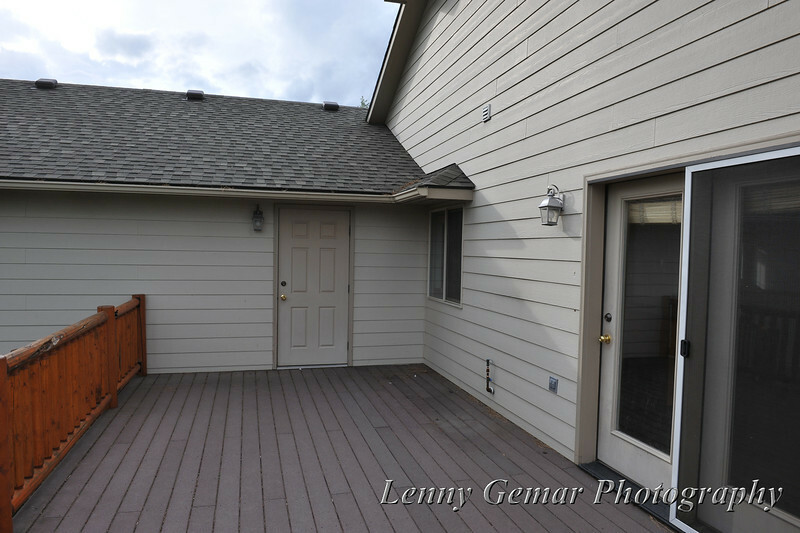 rear deck, looking at garage entrance, with kitchen entrance to right.